Prefabricated Labour Mess Manufacturer in Delhi, Prefabricated Labour Mess Supplier in Delhi, Prefabricated Labour Mess in Delhi. Owing to our vast industrial experience in this domain, we are devotedly engaged in offering in a wide assortment of Prefabricated Labour Mess. These camps projects are designed with the help of high-quality raw material and advanced technology in compliance with set industrial standards. 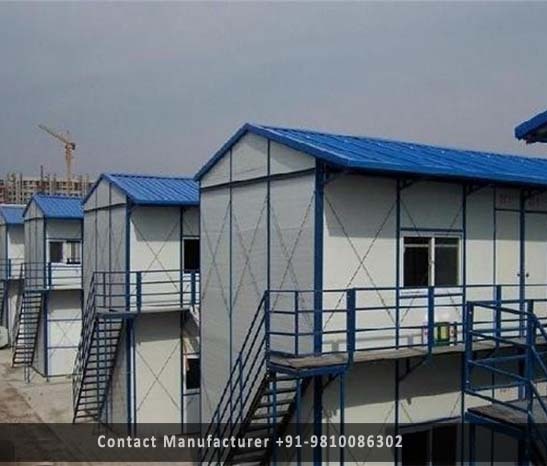 Our Prefabricated Labour Mess are made available in various specifications for our clients to choose, form. Clients can buy these labour mess from us at market leading & affordable prices.